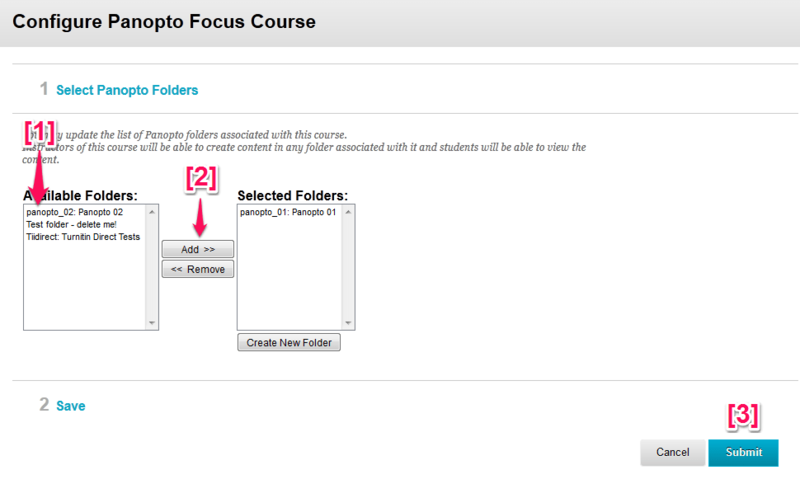 If the Blackboard course hasn’t used Panopto before, you’ll need to follow this tutorial first. if you would like to use Panopto for more than just lecture capture – eg you could create a folder to record sessions that you use each year, and a separate folder to record your lectures. 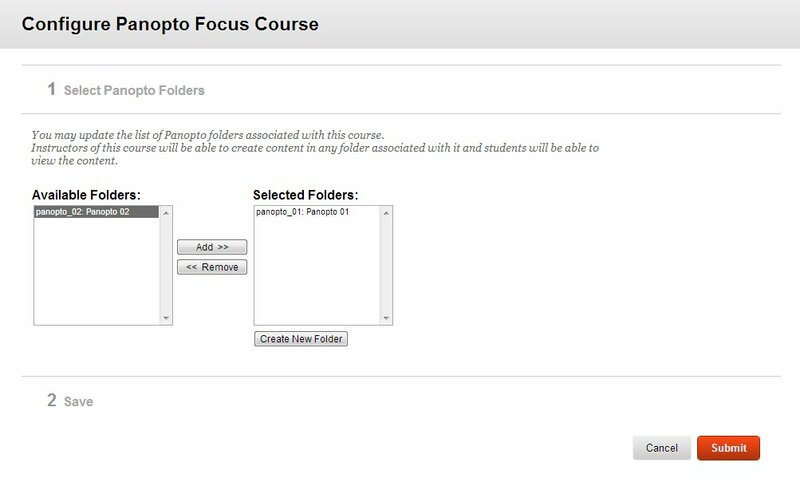 The Configure Panopto Focus Course screen shows you the list of Panopto folders that have been selected for this course, a list of all the available folders you have on Panopto, and lets you create a new folder in Panopto. Be specific as to what the content of the folder is. While calling the folder Lectures might make sense in the context of the Blackboard course, it won’t make sense outside – eg when you’re recording a session to it in the Panopto recorder, if your students are viewing recordings on astonreplay.cloud.panopto.eu or using the Panopto app for iOS/Android, etc. By default, students will be have access to a podcast feed of all of the sessions you record to this folder. If you don’t want them to be able to download this, you will need to disable the podcast for each folder. Note This doesn’t delete the sessions on Aston Replay. They’ll still be available to last year’s students. You could use this if you give lectures where your audience is made up of students from more than one module, or if you want to make last year’s recordings available to this year’s Blackboard course.